Dog training is one fun activity that dogs and their owners can share. While it may seem convenient to hire a dog trainer to do the job, training the dog yourself also has its benefits. With the advancement of technology, you can actually learn dog training by just a click of the mouse. Another good thing is, there are quite a handful of training aids available in the market today. Among these tools are dog training leads. Dog training leads are what most people know as leashes. While each lead may seem the same, what most people don't know is that there are quite a few kinds of leads available. Among the more popular materials used are nylon and leather. Nylon lead may be cheaper than a leather one, but because leather is more durable, it can actually last longer than the nylon lead. Plain or braided, leather leads are more often the wiser choice. The lead you choose will have to depend on the size and breed of your dog. Bigger dogs require a long-wearing lead, so you must choose a leather lead. 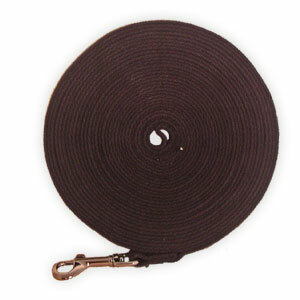 If your dog is small and of the smaller breed, a nylon lead may be sufficient. Leads also come in different lengths, the most common ones are 2, 4 and 6 feet. While a 6-feet lead is usually used for training, a shorter length will enable you to control the dog's movements, since it keeps the dog relatively closer. 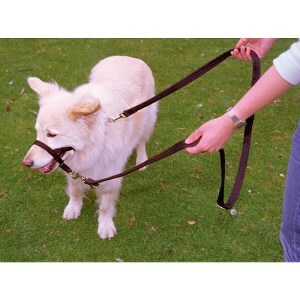 However, these shorter leads are ideal if you are merely training the dog to walk. If you are training the dog to fetch things or for tracking, then longer leads are for you. Leads can extend for up to 12 feet, 24 feet, even 50 feet. If you are undecided on the length, you may purchase extending or retractable leads instead. Lastly, consider your comfort as well. Choose leads that won't cut through your skin when tugged. It must also be constructed in such a way that you are able to remove it from the collar with ease. An efficient snapping system should do the trick. To further narrow down your choices, ask help from a professional dog trainer or any knowledgeable person. Not all puppies may wear a lead. He must be at least 8 weeks old before he may experience wearing a lead. But before this, he must first be exposed to wearing a collar. Wearing a collar may take some time to get used to. Remember also that the collar must fit the dog's neck perfectly to make training as fun and enjoyable as it can be. Dog training leads are important aids in dog training. You can purchase them by visiting your local pet or dog shop, or through the internet. Websites for dog lovers often feature some leads for sale. Take note of the instructions which come with the product to ensure proper handling and maintenance of the lead. When used properly, dogs can actually be taught to follow your commands. The key lies in choosing a good training lead, and in using it well. Training may seem difficult and may take some of your time. But time and money spent would not be a waste, since after some time your dog should be as behaved as you want him to be.